How Morgan McMillan finds fulfillment in the journey. Have you ever heard the phrase, “Life is a journey, not a destination”? It’s been echoed throughout history by greats such as poet Ralph Waldo Emerson, tennis champion Arthur Ashe, renowned psychologist Carl Rogers, and even Aerosmith. It also happens to be one of Healthy IU’s favorite sayings (hence the name of this site, “Your Journey”). What exactly does it look like to 'live for the journey'? This “Your Journey” page reflects the uniqueness and inspiration of each individual’s wellness path. Still the direction is similar — enjoying this life with family and friends, doing things that bring us happiness, health, and the ability to contribute to our community. So what exactly does it look like to “live for the journey”? 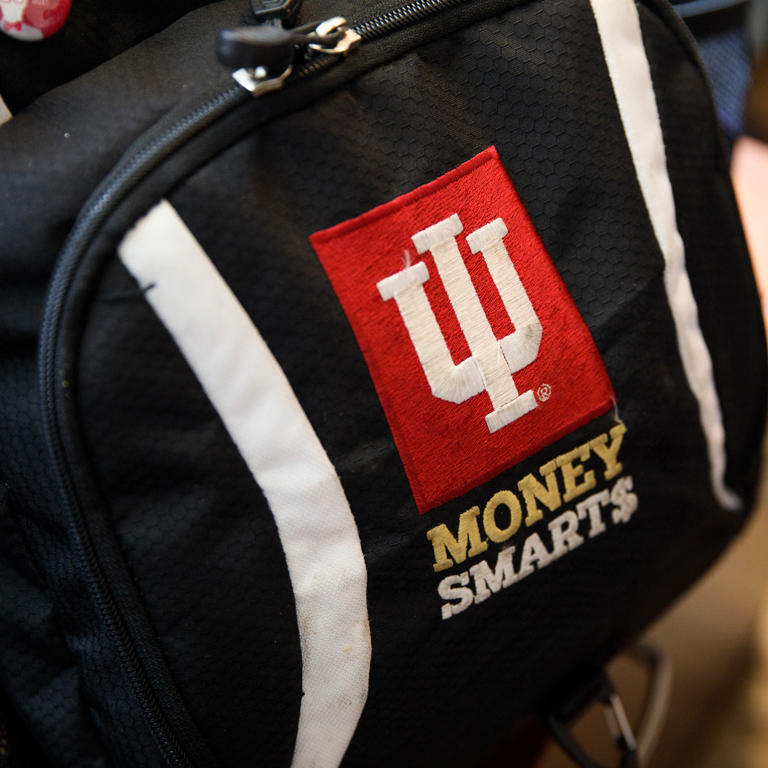 It’s a part of IU Assistant Director of Financial Literacy Morgan McMillan’s everyday life. Her example shows us that it’s possible to find fulfillment in our everyday wellness journey. Morgan’s wellness journey has changed her idea of what it means to be healthy. When she started, her focus was losing some weight she’d gained in graduate school. But she soon realized that health and wellness was more than just the physical — in fact, “physical” is just one of the eight dimensions of wellness. 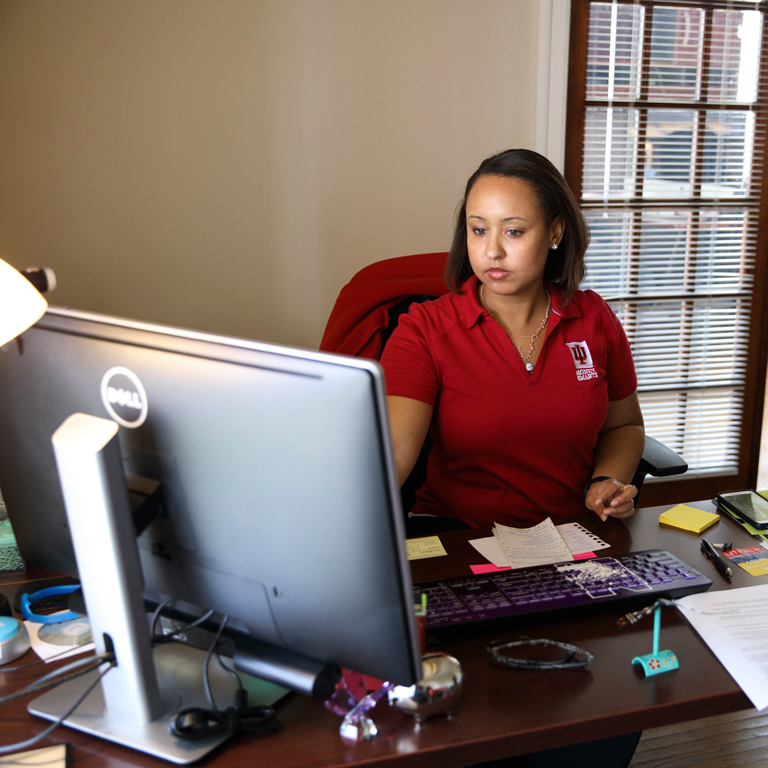 Morgan’s role with the Office of Financial Literacy (a university-wide department), gives her the opportunity to hire, train, supervise, and coordinate students and employees on many IU campuses. It also makes for whirlwind workdays with sometimes long commutes. So in order to be able to keep up with any type of physical activity plan, Morgan found that she needed to nurture her mental health first. “Physical” is just one of the eight dimensions of wellness. 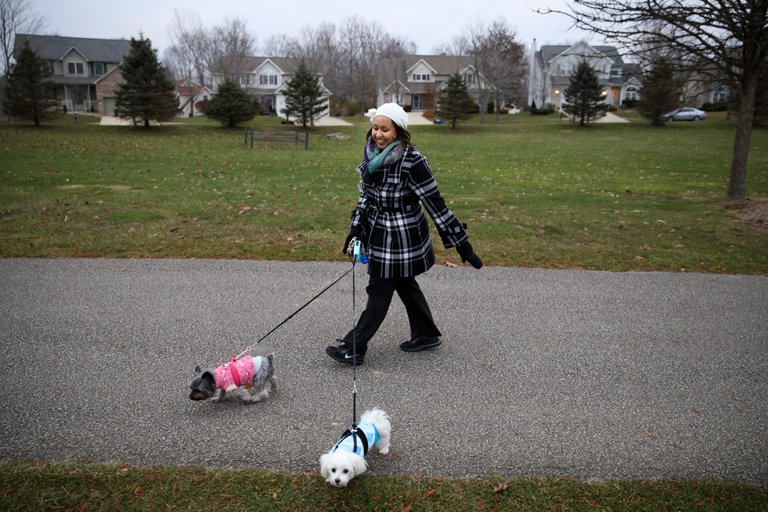 For Morgan, certain daily habits help keep her energized and in the right state of mind: making sure to not overschedule her day, getting enough sleep, setting boundaries in stressful relationships, and spending time with her significant other and two dogs (Cielo, a Yorkie, and Pico, a Maltese). “I can’t say that I’m able to do these things every single day, but overall, they are priorities. I think it’s really important to grant yourself the grace to take care of yourself,” she says. I think it’s really important to grant yourself the grace to take care of yourself. When it comes to her goals of being physically active, Morgan has tried many things — from “boot camp” classes to personal training to working out at home. While some people have one favorite form of exercise, Morgan is okay being more versatile. She’s not discouraged from trying new things, and “no matter what I do, I find a way to make it enjoyable,” she says. 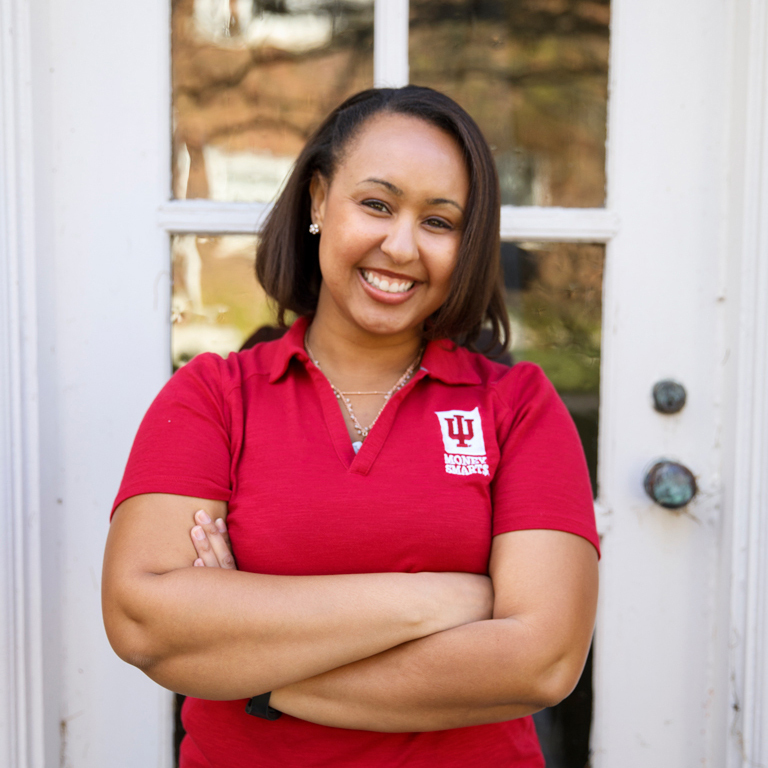 Morgan has also taken advantage of some of the free lifestyle change programming available to IU’s full-time faculty and staff (and their spouses on an IU-sponsored medical plan). Among them are Weight Talk, an online weight-loss program offered through IU Human Resources; Diabetes Prevention Program (DPP), a 16-week Healthy IU program; and the Feel Great IU! Challenge, a 12-week physical activity and/or weight loss/maintenance challenge offered by Healthy IU. No matter what I do, I find a way to make it enjoyable. She has learned something about her likes, dislikes, and needs from each program. For example, she enjoys keeping track of her daily steps with an activity tracker. (Morgan earned hers from the Weight Talk program, but DPP and Feel Great IU! also offer Fitbits as an incentive upon completion). She prefers the accountability of a formalized group program, which she received from DPP. And sometimes, scheduling a one-on-one meeting or call is just not feasible due to an unpredictable work day, which she learned from Weight Talk and the wellness coaching offered through the Feel Great IU! Challenge. By experiencing the array of programs available to her, Morgan now has a better picture of what she enjoys and has a variety of tools for the different situations on her journey. “This journey is a process. I recognize there’s never a point when it’s done,” says Morgan. So how does she sustain herself for the long haul? Morgan realizes the journey is "never done." Now that she has completed DPP, Morgan maintains a support network through meaningful relationships at work and at home. 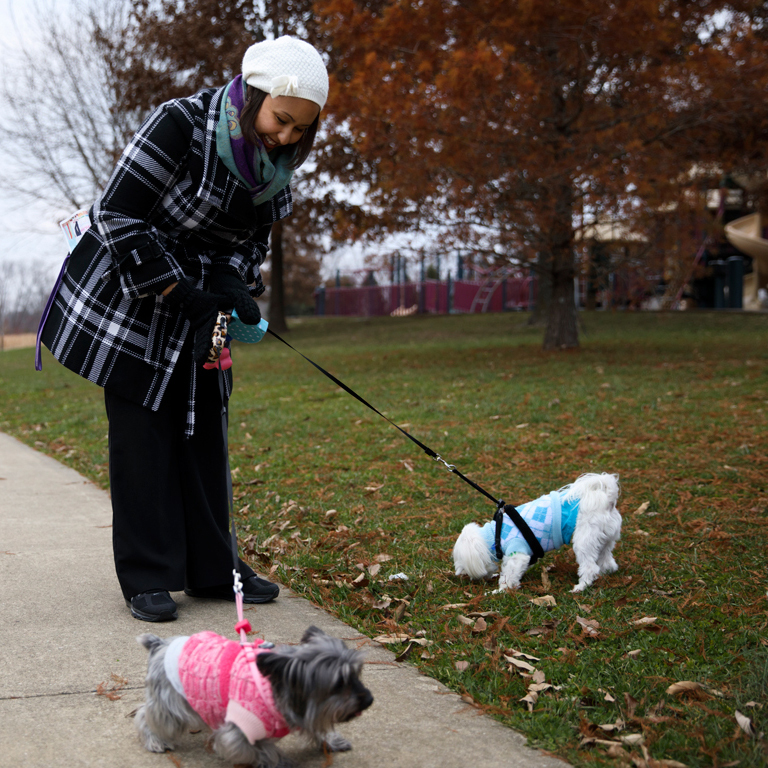 She also finds that her dogs offer emotional support and encourage her active lifestyle — there’s nothing like taking them for a walk after a long workday. Healthy IU offers programs and resources to help you on your wellness path.